Broke Down in Tears because of Korean Chili Chicken! 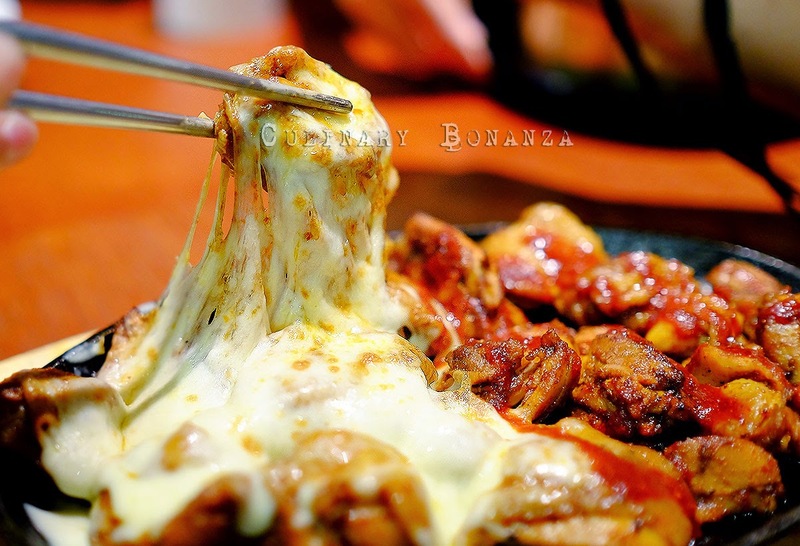 Do you know what's better than Korean Chili Chicken? I've never been much of a chili addict. I mean, I appreciate it if it does or is intended to enhance the flavour of the dish. However, at any given random time, I'm not the kind who will desperately look for chili sauce / chili flakes to add some kick to my food. But I'm willing to make an exception for a few, such as Jeans Chili Chicken. If you're an Indonesiana and have spent some time or lived in Sydney, you're likely to know Jeans Chili Chicken, as it is highly popular among the Koreans and including Indonesians living in Sydney! 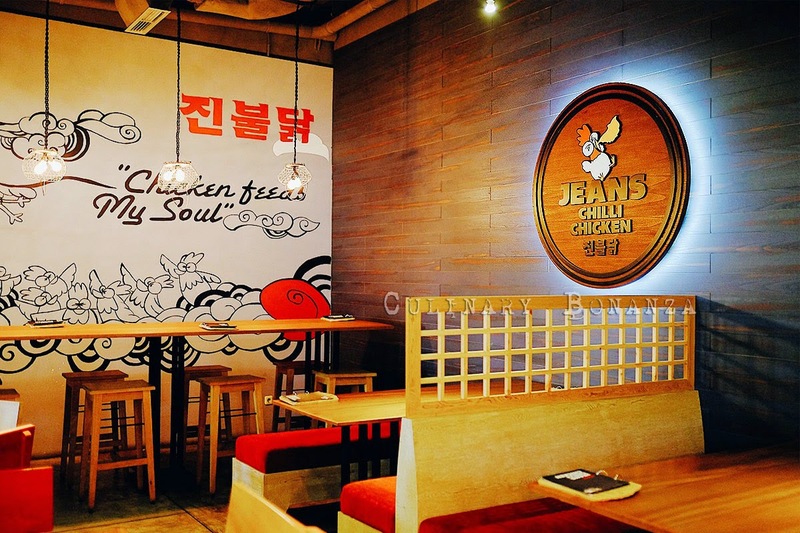 Following its success in Sydney and South Korea, Jeans Chili Chicken opened in Jakarta back in mid 2013 at Gandaria City Mall, a massive shopping, leisure and entertainment complex in South Jakarta. If I were to recommend a restaurant that Gandaria City has and one which cannot be found at any other shopping malls, Jeans Chili Chicken would be one of them! 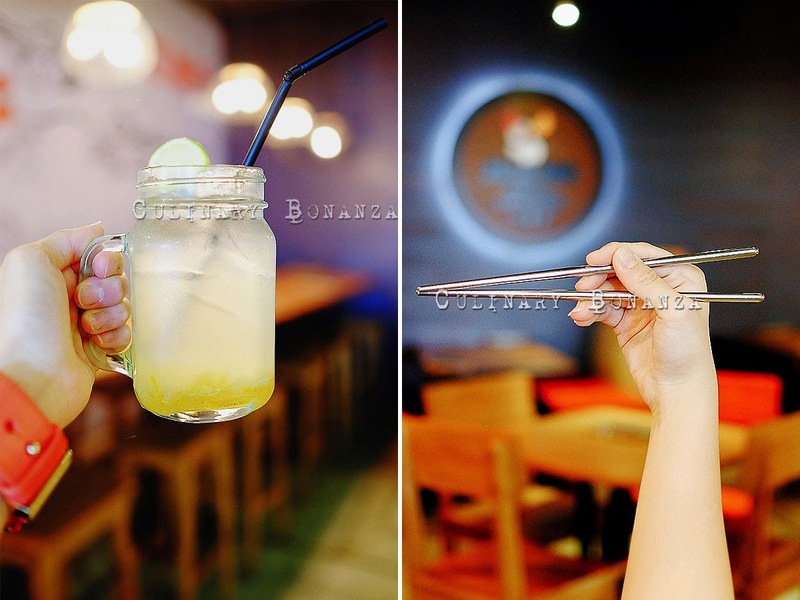 Simply because it has only 1 outlet in Jakarta at the moment and I personally am a fan of the delicious signature, tongue-searing, tears-inducing, nose-blocking Korean Chilli Chicken or "Bul-Dak" which literally means "Fire-Chicken" (hence the logo of the fire-breathing chicken). What makes Jeans in Sydney and Jeans in Jakarta different then? According to the two brothers who own and run the Jeans in Indonesia, they have to tone down the chili level in the chili chicken they serve to the customers in Indonesia. I'm actually quite surprised to hear this, because I had thought Indonesians are prolific chili eaters! Besides that, Jeans Chili Chicken Indonesia is Halal and does not have any pork on the menu, unlike the Jeans outside Indonesia. It is quite a let-down for Jeans fans in Indonesia as they have to miss the famous Chili BBQ Pork item. The most unique experience when eating at Jeans Chili Chicken is the fun, somewhat stress-relieving, hands-on making of the Rice Balls (wear the provided plastic gloves please!). 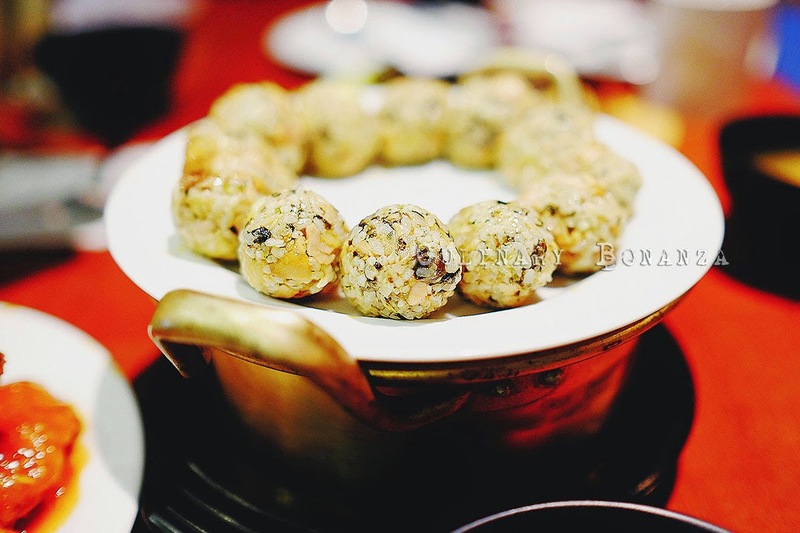 The main component of the Rice Ball (also known as 'Ju Meok Bap' which literally means 'fist bap'), is the steamed Korean rice with toasted seaweed & sesame seeds. The rice itself is a good companion to go with the chicken, very fragrant and very slightly seasoned. 1. Cut (using the meat scissors provided), the chili chicken fillet into smaller pieces. 2. Knead the meat chunks and the rice to mix evenly, this action is perfect for those looking for medium to channel their stress LOL! 3. Shape the mixed rice into ball shape and then...ta dah! 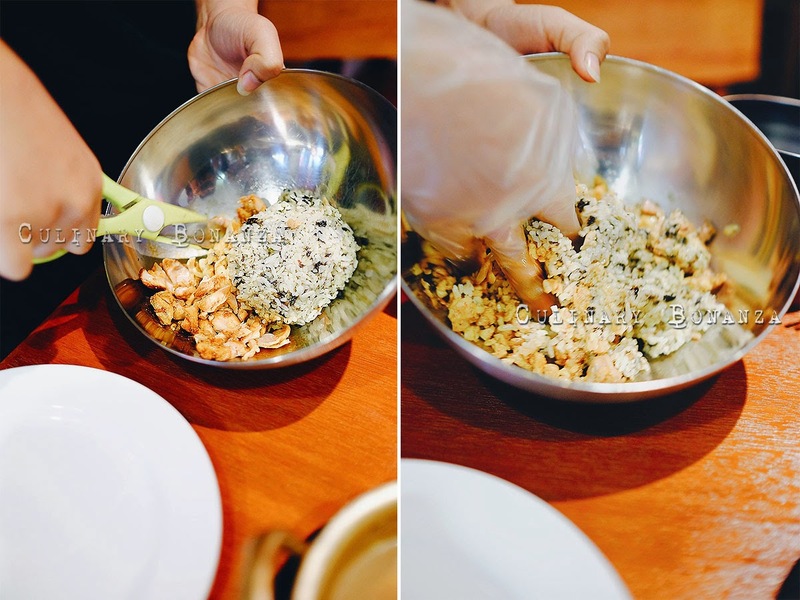 Korean Chili Chicken Rice Ball is ready to pop in your mouth! Other than the Korean Rice Balls, another personal favourite of mine is the Chili Chicken Egg Roll - special egg roll with melting mozzarella cheese and chili chicken treasures. 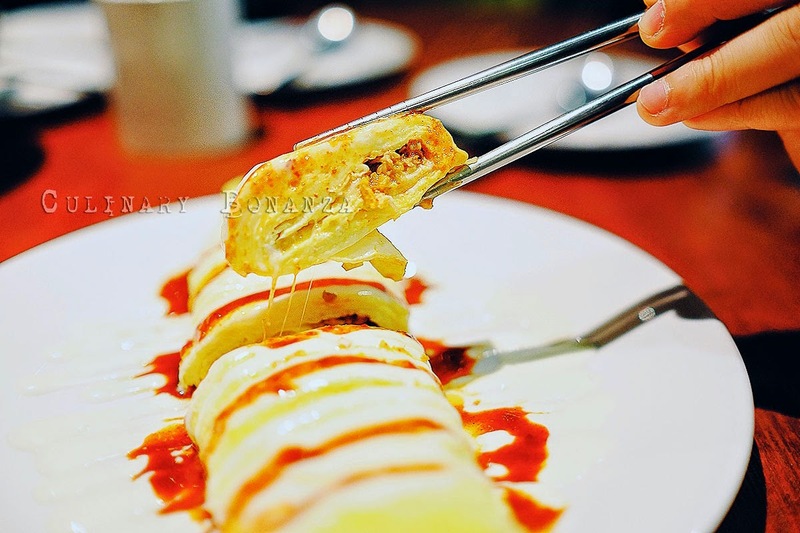 The egg roll is juicy & moist at the core and taste slightly sweet from the mayo, and chili sauce topping. This is a must-order for egg and chicken lovers! 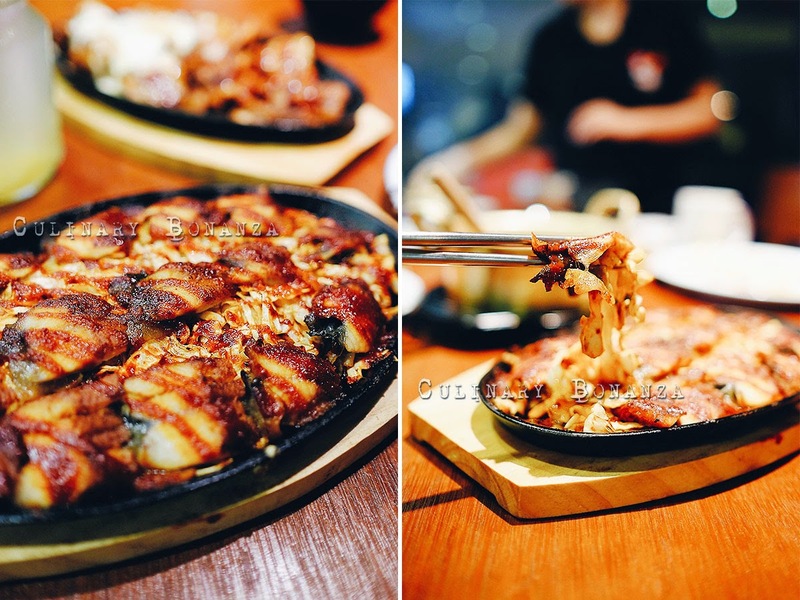 Koreans have a thing for eel (unagi) too, and Jeans serve hot & spicy Chili Grilled Eel, cooked in Jean's secret Korean chili recipe. Jeans kick up the Korean Fried Chicken playing field by introducing the Ginseng Fried Chicken, yes, it is literally the type of crispy outside-tender & juicy inside Korean style fried chicken wings and drumettes, but topped with ginseng and mayo toppings (the ginseng is not bitter, don't worry). Or if you're feeling less adventurous, try the EQ Honey Fried Chicken instead. After all the grilled and fried stuff, relieve the 'heat' in your body with one os the soups. 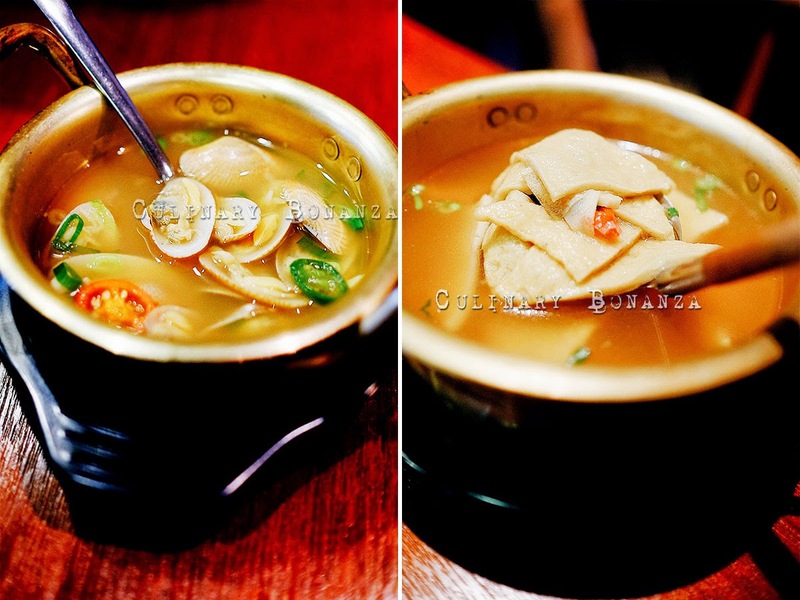 What I like about the soup is that they tasted well balanced, the flavours and seasonings. If you don't eat clams , and don't feel like having the Pippy Soup (like me), you can order the Seafood Cake Soup instead. 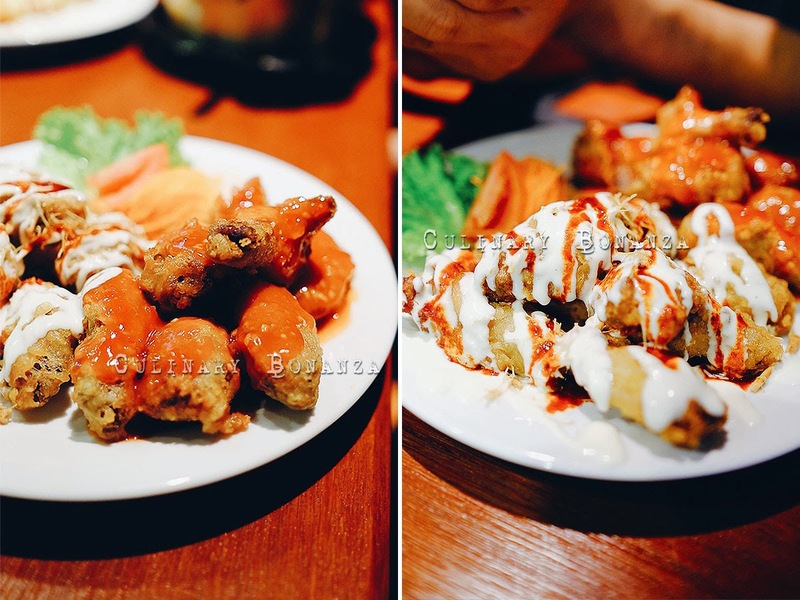 Left: Ginseng Fried Chicken IDR 38,000 / 72,000 / 92,000 (small / regular / large).